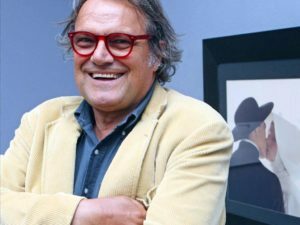 Oliviero Toscani has come back and arrived at Benetton for a renewed collaboration that will inevitably leave a mark and will stir a discussion about social issues. From 1982 to 2000, in fact, the famous photographer signed, together with the historical fashion brand, many campaigns which are considered memorable in the world of fashion in general. Some of them were considered very strong. Do you remember, for example, the 1991 campaign where there was a newborn covered with blood and the umbilical cord attached who represented a tribute to life? Or the campaign in the following year representing a shocking kiss between a priest and a nun? For the new campaign signed by Benetton, the popular photographer from Milan continues to use his strong and very recognizable language we are used to. The central topic will be that of integration, a theme which is currently very debated above all in our Country. It’s not by chance that Toscani himself commented, “The problem of current world is integration. The future will depend on how and how much we are able to use our intelligence to integrate the ‘other’ by overcoming fears”. In order to concretely realize the campaign of the famous brand, one of Milan schools has been chosen where 28 young students have been immortalized. They came from 13 different countries, 4 continents, all included in a classroom of primary school. The students have been portrayed while reading, all smiling, a classic of children literature, Pinocchio. With the new campaign and the renewed cooperation with the photographer Toscani, Benetton will surely make the news. This return represents also the beginning of a larger project that won’t end with this campaign; a project where the creative photographer is cooperating with Fabrica, the communication research center born in 1994 in the Benetton family. Furthermore, Oliviero Toscani will also look after the image of the brand United Colors of Benetton starting from a campaign launched in February 2018.